Workers on construction sites put their lives at risk on a daily basis, and avoidable factors like inadequate training, defective heavy equipment and improper safety gear only further increase the risk of workplace accidents on GA construction sites. If you have been injured in a construction site accident in Georgia, or if you lost a loved one in such an accident, contact our skilled construction accident attorneys at Rechtman & Spevak as soon as possible. In many cases, devastating injuries and tragic loss of life caused by construction accidents could have been avoided had the proper safety measures been followed by construction site supervisors and property owners. Too often though, those in charge on construction sites cut corners to save the company time and money, thereby putting the safety of construction workers at an unnecessary risk. 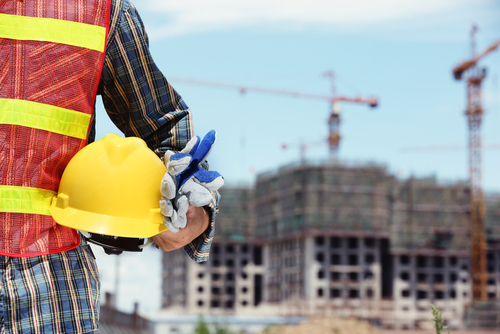 With the help of our construction accident lawyers at Rechtman & Spevak, injured workers in Georgia can seek fair and timely reimbursement for their construction accident injuries. Due to the sheer size and weight of scaffolding, cranes and other types of construction equipment, and because construction workers often operate at great heights, injuries resulting from construction accidents are often catastrophic. In addition to physical harm, construction accident injuries can also lead to costly medical bills and a devastating loss of income due to missed time at work. In many cases, construction accidents lead to permanent physical disability, in which case a worker may never be able to return to work or earn an adequate income. This is where an experienced construction site accident attorney in Georgia can help. In most cases of a construction accident, the injured worker can pursue medical or disability benefits by filing a workers’ compensation claim with their employer’s insurance carrier. If the on-the-job injury was caused by a third party not employed by their employer, the worker may also have grounds to file a third-party liability lawsuit against the party found at-fault in the accident. Construction site accidents are one of the most prevalent types of accidents in the United States, and the fatal injury rate for the construction industry is higher than the national average in this category for all industries. Because nearly 6.5 million people work at approximately 252,000 construction sites across the country on any given day, protecting the safety of construction workers is imperative. If you or a loved one has suffered injuries caused by a construction accident in Marietta, Atlanta, or elsewhere in Georgia, consult our knowledgeable construction accident attorneys at Rechtman & Spevak today. Our law firm is located in Atlanta, and our lawyers have years of experience helping workers injured in on-the-job accidents pursue the financial compensation they are entitled to. Whether your construction site accident was caused by a defective power tool, scaffolding that was improperly erected, inadequate safety equipment, or insufficient employee training, our experienced construction site accident lawyers can help you protect your legal rights and pursue the compensation you deserve. Call 404-355-2688 for a free consultation to discuss your legal options.